My printer is an HP Officejet Pro KS 5400 but your list says HP K5400n [ie. my printer does not have an 'n' at the end). Will these inks still be okay? Any time you have got to change HP K5400n cartridges, Cartridge Save have everything you require. Doing your research to get new print cartridges can be another time intensive problem, notably when it requires having to pay a visit to or maybe get a hold of a number of merchants. In contrast, replacing K5400n printer cartridges shouldn't end up being a difficult time. 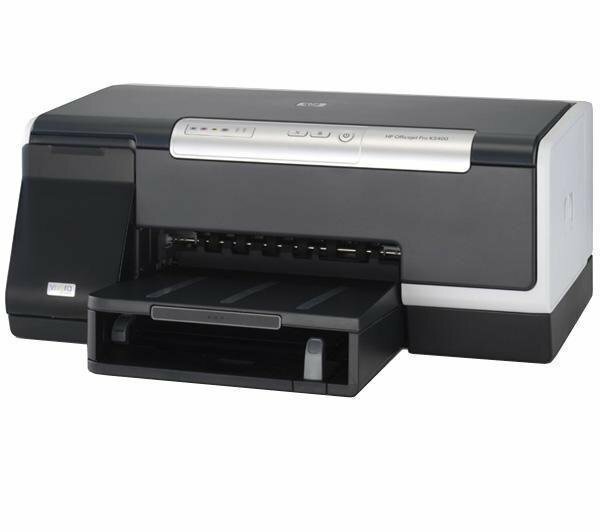 Purchase some HP K5400n printer ink from Cartridge Save. Free delivery is supplied as a part of the deal with each order whenever you buy bargain HP cartridges. HP K5400n inkjet cartridges ordered off Cartridge Save are fully protected with our money back assurance. In case you have troubles, simply just post us the goods and get your full refund! When there are brilliant deals like ours it's hard not to save thanks to Cartridge Save! This high-quality and speedy printer is packed with business-friendly features to help users get more printing done in the small office. While text documents come out great, the HP Officejet Pro K5400n is somewhat expensive for a mere inkjet printer which is incapable of producing excellent photo prints. HP clearly designed the Officejet Pro K5400n for the office and not for the home because of its large and bulky body, which would not fit a typical desktop. At 15 inches deep, 19.5 inches wide, and 8.1 inches tall, it weighs a hefty 19.4 lbs, has a monthly duty cycle of 7,500 pages, and has a 250-sheet auto-load paper feeder with a maximum capacity of 600 sheets. The controls are neatly arranged in a straight line on the top front part of the HP Officejet Pro K5400n. The HP Officejet Pro K5400n could have been better for the office if it had networking and wireless capabilities. The quality of photo prints is unimpressive, and the HP Officejet Pro K5400n is noisy (61 dBA of sound emission while at work). Duplex printing is not supported.